If your vehicle is hard to start, lacks power for overtaking, or stalls frequently, it might be time to check the fuel pump. And if it needs replacement, you can’t do better than DENSO. A primary supplier of fuel pumps to the automakers, DENSO has pioneered in smart fuel pump technology for the latest common rail and returnless systems, developing hardware capable of running at the highest sustained pressures in the industry. In cutting-edge fuel system technology, DENSO and the automakers are equal partners. 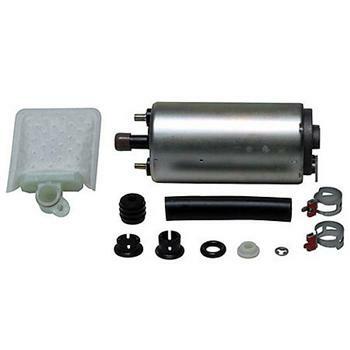 However, high pressure and volume aren’t enough to produce a superior fuel pump. Reliability and silent operation are also paramount. DENSO fuel pumps are standard equipment in some of the world’s top luxury cars, while DENSO’s manufacturing facilities have received numerous OEM awards for product quality and consistency. DENSO First Time Fit® replacement fuel pumps are available for hundreds of applications in the automotive aftermarket.